For a while now, I had been looking for something to wear. A permanent "signature" that I won't have to take off but would still maintain. I think I found it today. I was browsing after work and saw this really adorable anchor. If you had seen my previous tale thief banner, it had an anchor too. 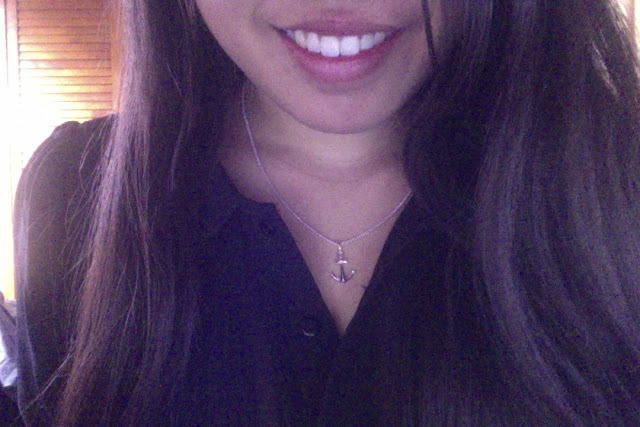 I have always loved anchors. I want to be more well-grounded in all things I undertake and I think this really symbolise that well. It's also the first diamond item I have ever bought myself. I have always shopped for other people's gifts but I am admittedly a bit stingy when spending on myself so I thought, why not? Once in a while I am going to tell myself that I appreciate me for being alive and me. Do something nice for yourself! Beautiful choice! I love how it is both understated and symbolic :) And yes, we need to treat ourselves every once in a while! I can be that way too, unless it comes to clothes, well even then I try to find the best deal, but when I buy something for others, it's always a lot! Thank you :) and yes I get really stingy with my own purchases.. I get a little jealous at getting people stuff hahah it's weird because I like to get them nice stuff and then I was like.. I want one too.. but then I'd feel bad!